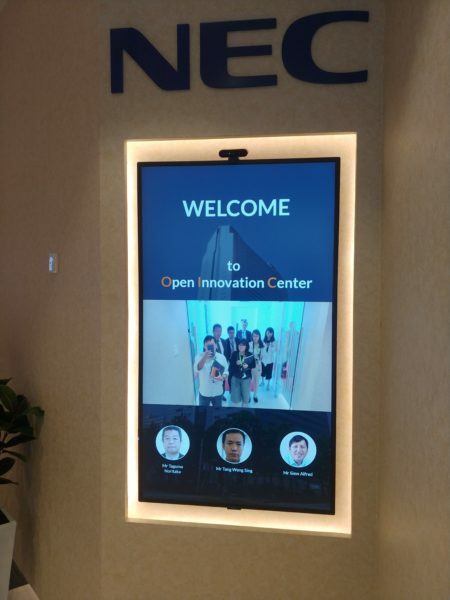 If someone donned a Mission Impossible mask and tried to make it past an airport checkpoint in the future, chances are he won’t get past a face recognition system set up by NEC. At a demo yesterday, the Japanese company had a staff member put on a mask that nobody in the small pool of reporters noticed – until he pulled it off to the surprise of everyone not in on the secret. At the same time, the face recognition system that NEC calls NeoFace accurately figured out that the person was hiding behind a mask. It was also able to detect when a photo or video was placed in front of a camera to fool it. 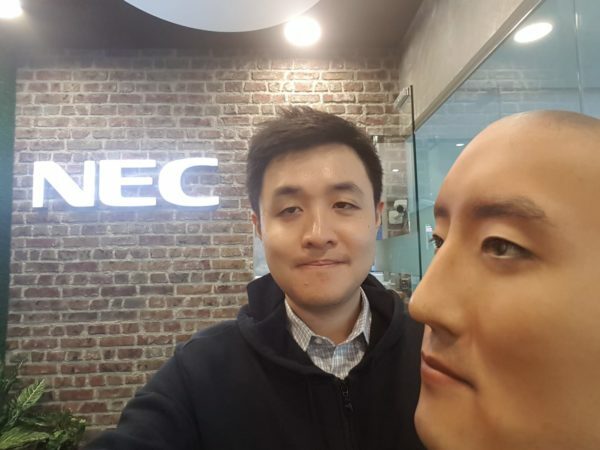 Through its face recognition technology that detects “liveness” or the presence of a “live” person, NEC wants people to use their faces as a unique digital ID for a variety of services. To log in to a government website, for example, a user can scan his face on a phone app to authenticate himself after keying in his username and password. This does not require a special camera like on an Apple phone, because the matching is done online. Separately, at a “federated” ATM machine, users can connect to various banks by simply scanning their faces and confirming via an app on their phones. Each transaction is locked in using a blockchain, so there is little doubt that the money is dispensed to the right user. With a face ID, airports will also alleviate some of the jam they are facing now. “Frictionless” gates will scan a traveller’s face, allowing him to walk on through to a flight without breaking stride to scan a fingerprint or show a passport. At an airport lounge, a frequent flyer is automatically recognised through his face as he walks towards the entrance. He is offered a personal greeting and simply walks in without having to look for his passport and boarding pass. 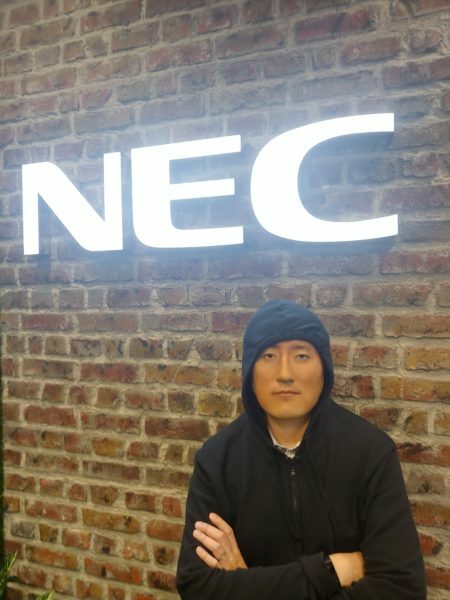 Indeed, NEC has some of that face recognition technology already set up here. Earlier this year, OCBC Bank said its VIP customers could visit one of its lounges and get recognised instantly as they walk in. The technologies on show are ready to be used for a pilot trial with customers, said the centre’s head, Tang Weng Sing, who noted that they are only a year or two away from actual deployment. What sets the Singapore Open Innovation Centre apart is that the demos are live and not mere concepts, he stressed. A development team works on-site to upgrade the code on the spot, he noted. The centre is the fourth to open this year, after Murcia (in Spain), Mumbai and Silicon Valley. One more is set to open in Washington at an unspecified date, while more fundamental research is carried out at NEC’s Japanese home base. Though the company has worked on biometrics and government projects for four decades, including the Singapore biometric passport back in 2005, it has recently ramped up efforts to promote its solutions around face recognition, after viewing its widespread adoption in smartphones. NEC’s technology, however, does not rely on the devices themselves. It is based on its algorithm that is built on scanning and recognising billions of faces over several decades. The advantage here is that it works with just about any camera. It is also widely seen as fast and accurate even when used for surveillance, where millions of faces are searched through. The big obstacle, though, is convincing users that their personal data is protected and their faces are recognised only in scenarios they have agreed to. That’s an issue that the technology has to catch up with very soon, seeing how far ahead it is now.